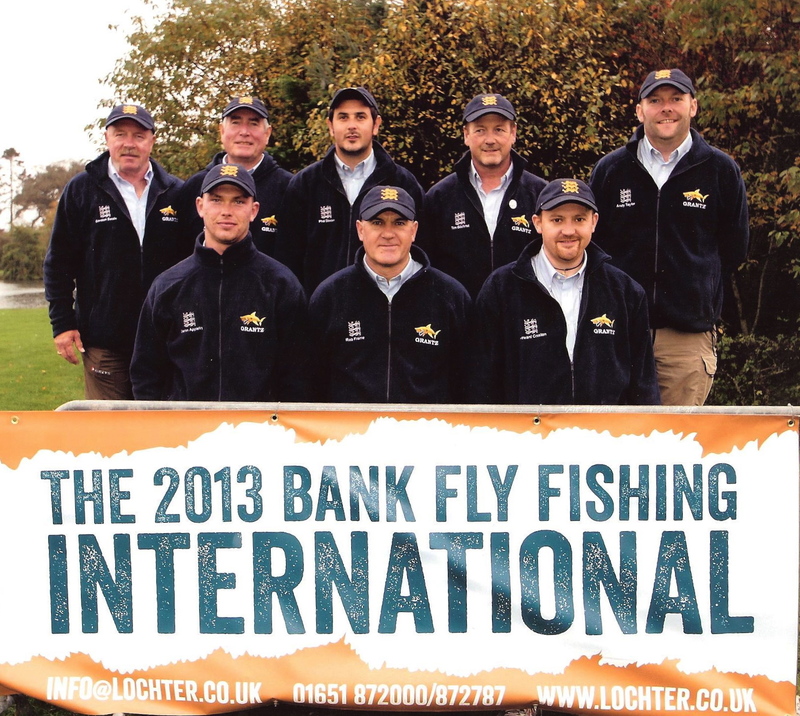 Congratulations to Scotland on winning the 2018 Fly Fishing Bank International on Wednesday 24th. Congrats to England’s Gareth Tilley on individual 1st place, and Mark Harrison on 2nd and to Ireland’s Connor Cunningham for 3rd place. Finally congrats to Andrew Taylor for catching the biggest fish, 59cm. 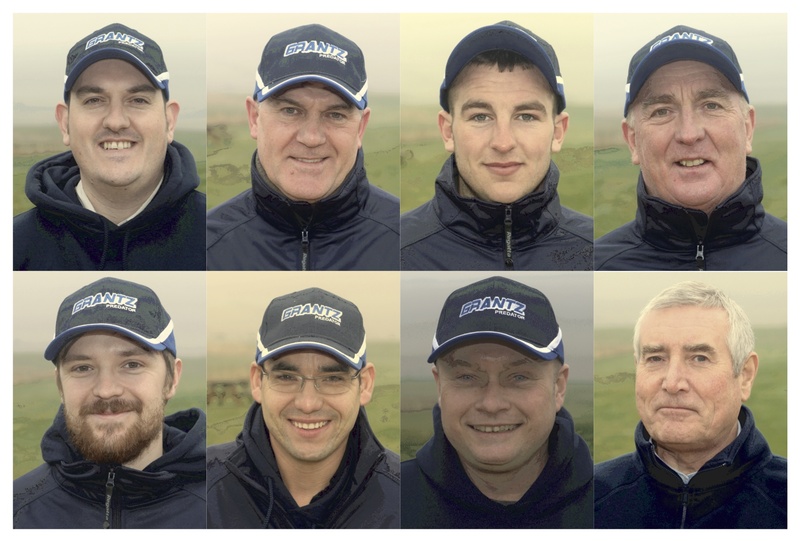 Representing AT Team England FF were (L-R): Brian Lillie (reserve), Andy (George) Taylor, Alec Harvey, Ed Upton, Gareth Tilley, Mark Harrison, Lee Cartmail (captain), and Alan Jenkins (manager). 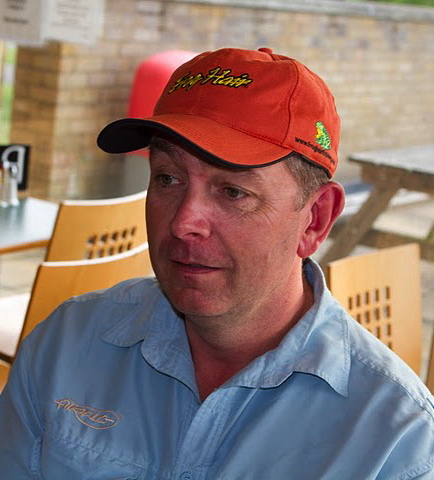 The team would like to express their gratitude to their sponsors – West Side Design, Grantz custom fishing clothing, Snowbee fishing tackle, and Craghoppers world travel clothing, with special thanks to Tom Hunt of Hunts Original Products and the Angling Trust. The 2017 Bank Home International was held at Forbes of Kingennie country resort, near Dundee, Scotland, on Wednesday 25th October. 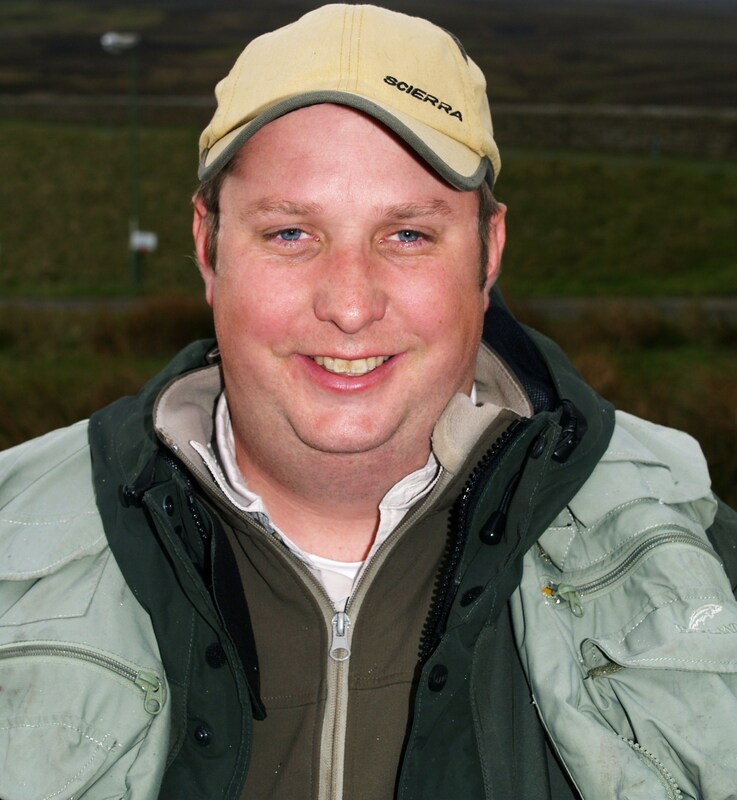 Individually, Glenn Appleby (England) was 1st, with Gareth Tilley (England) 2nd, and James Stephenson (England) 4th. Representing AT Team England FF were: James Stephenson, Glenn Appleby (captain), Colin Harris, Gareth Tilley, Ed Upton, Ben Race, Lee Cartmail (reserve), and Alan Jenkins (manager). Congratulations on a great result! The best of luck to everyone involved. 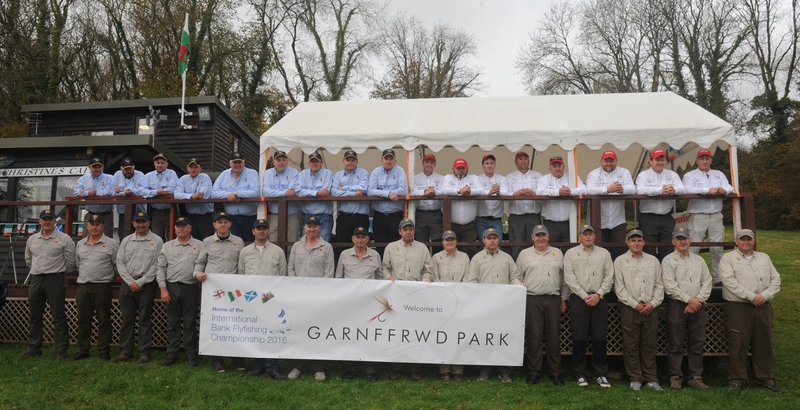 The 2016 Bank Home International was held at Garnffrwd fishery, Wales on Wednesday 2nd November, between teams from England, Wales, Scotland and Ireland. Wednesday 2nd October: Championship Day (morning & afternoon sessions). Followed by Formal Team Photographs, International Dinner & Presentations. Congratulations to Scotland on a convincing victory. Representing AT TEFF were: Iain Barr, Rob Frame, Dave Johns, Paul Runec, Andrew Scott, Jim Tuck (Captain), Charlie Abrahams (Reserve) and Alan Jenkins (Manager). 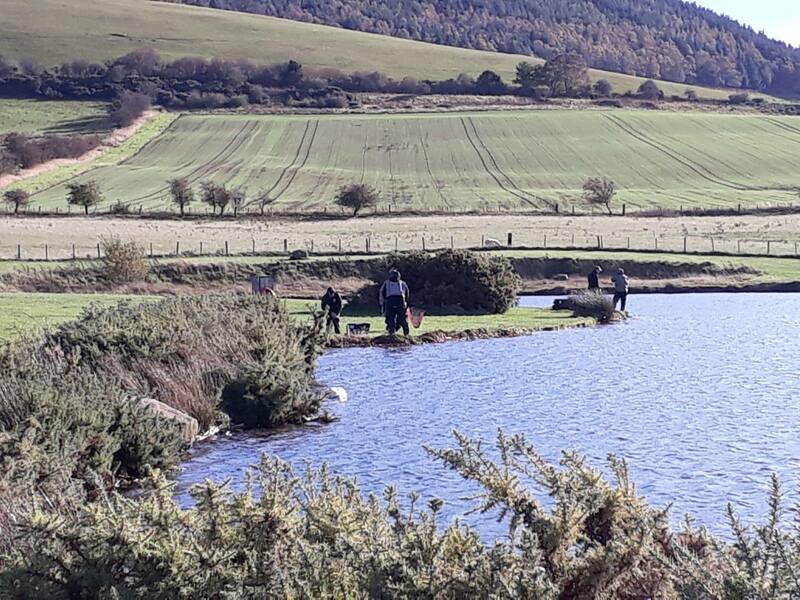 The 2015 Bank Home International was fished at Woodford Fly Fishery, Carrickfergus, Co. Antrim, N. Ireland between Ireland, Scotland, England and Wales on Wednesday 14th October. 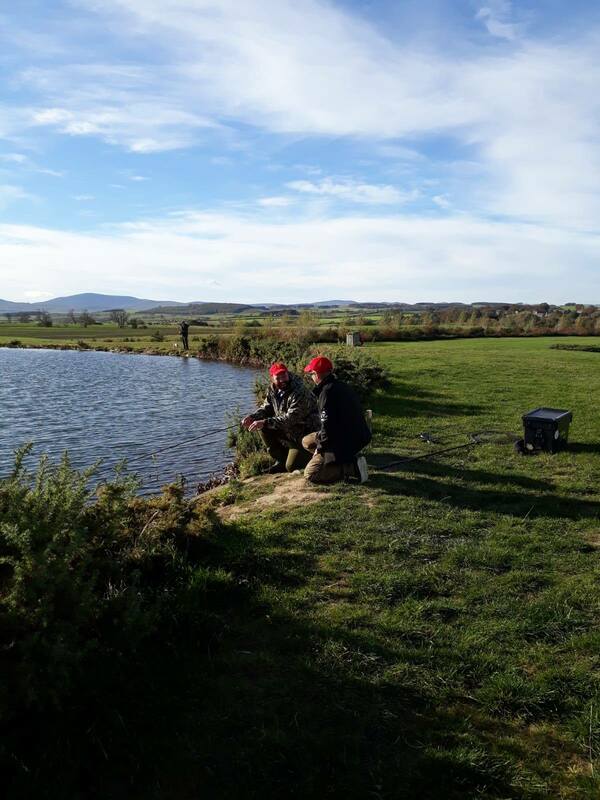 This event was hosted by the Trout Anglers Federation of Ireland (TAFI), with support from the Department of Culture, Arts and Leisure (DCAL), Stena Line, and the Mid and East Antrim Borough Council. AT Team England FF was represented by Simon Robinson (Captain), Craig Barr, Phil Dixon, Conor Metcalf, James Stephenson, Richard Slater, Ed Foster (Reserve) & Alan Jenkins (Manager). Manager Alan Jenkins reports: England got off to a fast start in the afternoon, with eventual individual winner James Stevenson, into 2 fish quickly. It was going to be tight with every fish so valuable. However Ireland had a better afternoon but the morning lead was enough to see Scotland home. The results were announced after what seemed a long wait and then it was official, Scotland first with 14 fish, England 13 fish, Ireland 12 fish and Wales 5 fish. John Brown had longest fish at 57.1 cms, top individual was James Stephenson followed by Alan Hill and Phil Dixon England. 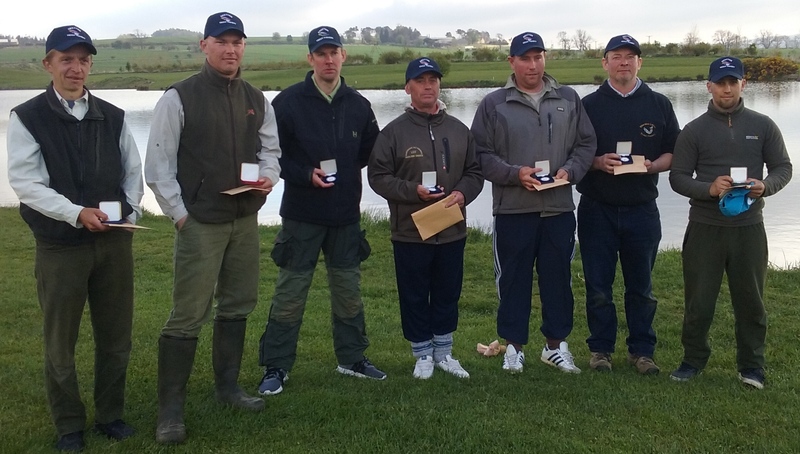 Fewer blanks and a superb size of fish helped Scotland achieve its 3rd Gold medal in 6 years at these Championships. Team plan of sticking to flies in the team box ensured all team members contributed to result. 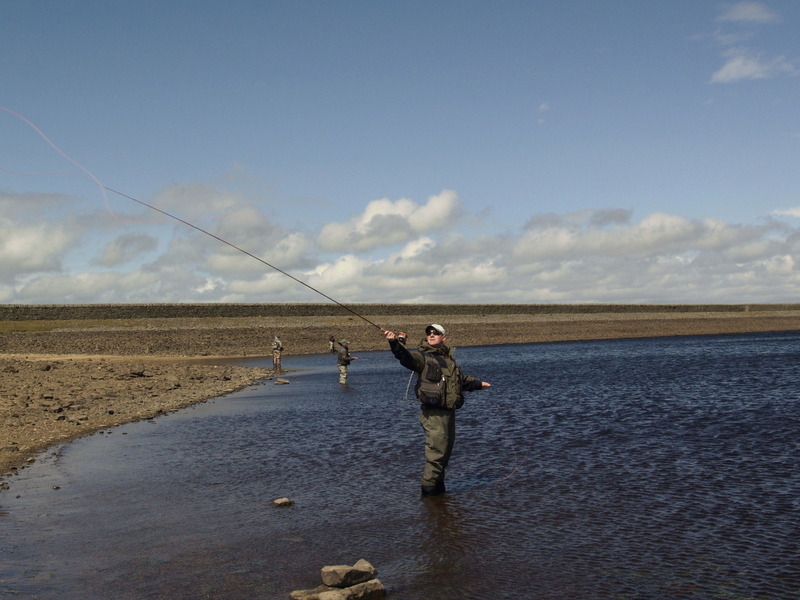 Next year we go back to Garnffrwd Fishery in South Wales. Team England would like to thank our sponser John Grantz www. Grantz .co.uk for providing the team clothing. 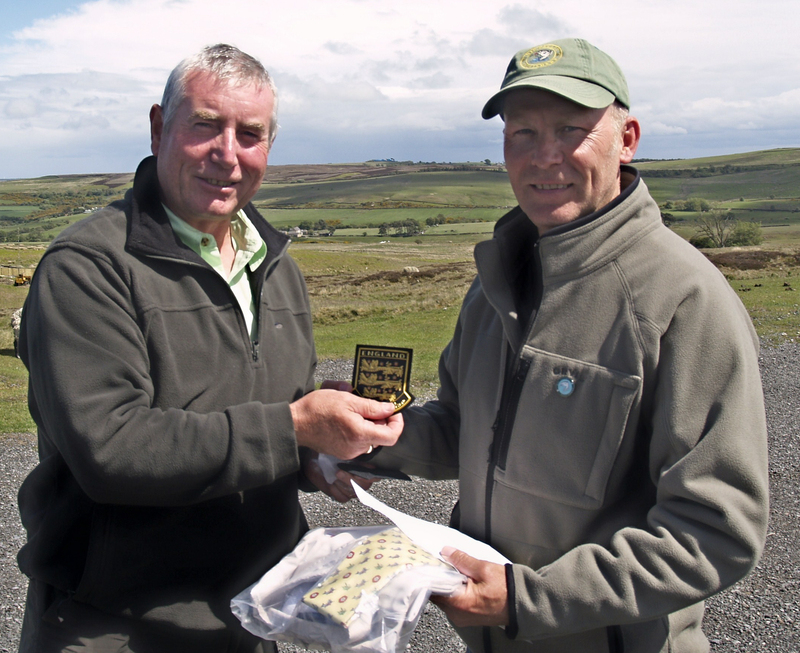 Ireland won the recent 2014 Bank International fished on Ross and Dunnydeer Lakes at Chatton Trout Fishery, Alnwick, Northumberland, just nine placing points ahead of England. A good start by Ireland in the morning session was followed by England narrowing the gap in the afternoon. 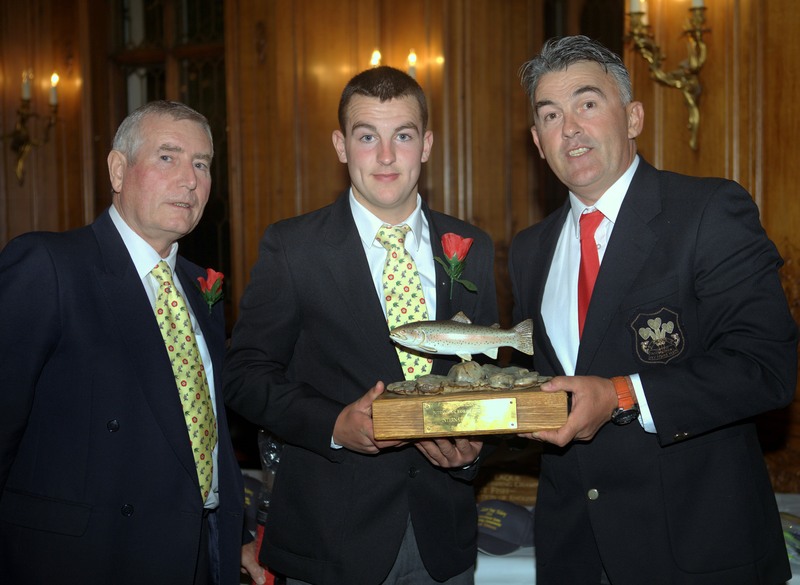 Top individual and captor of the largest fish at 63cms was AT Team England FF’s Ryan Matthews. Chris Micallef (Captain); Rob Frame; Ryan Matthews, Bernie Maher; Mark Harrison; Steve Cochrane; and Alan Jenkins (Manager). 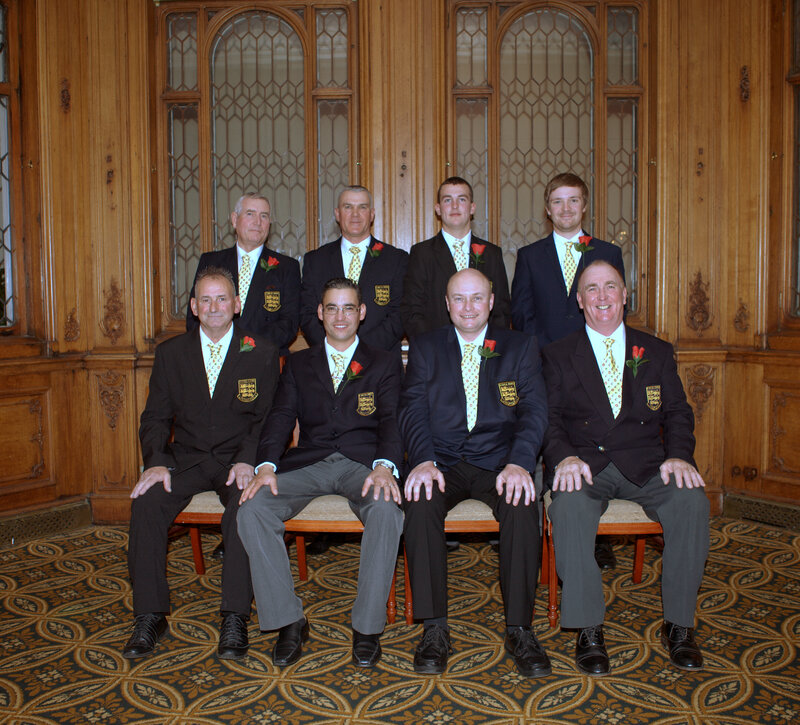 Ireland held off a strong challenge from England to claim victory in the 5th Bank International. Ireland secured Team Gold. 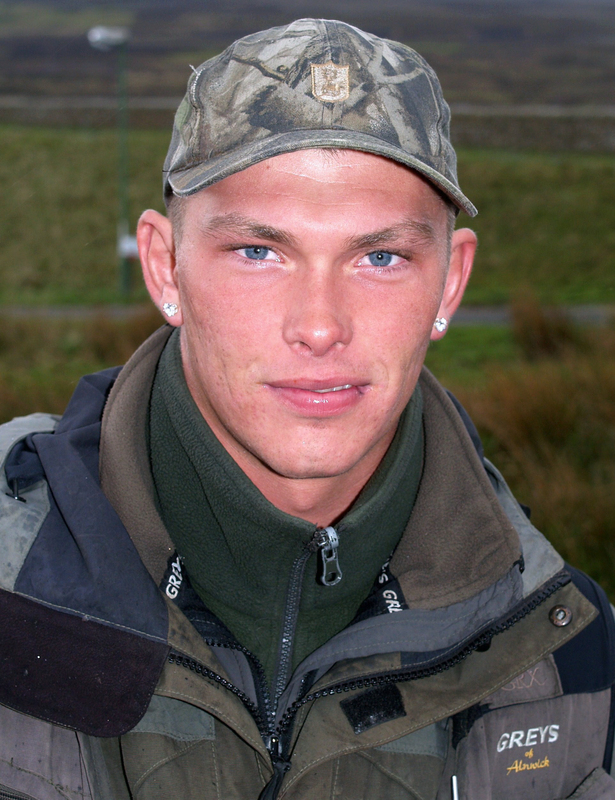 Top Individual and Longest fish, was Ryan Mathews from England. 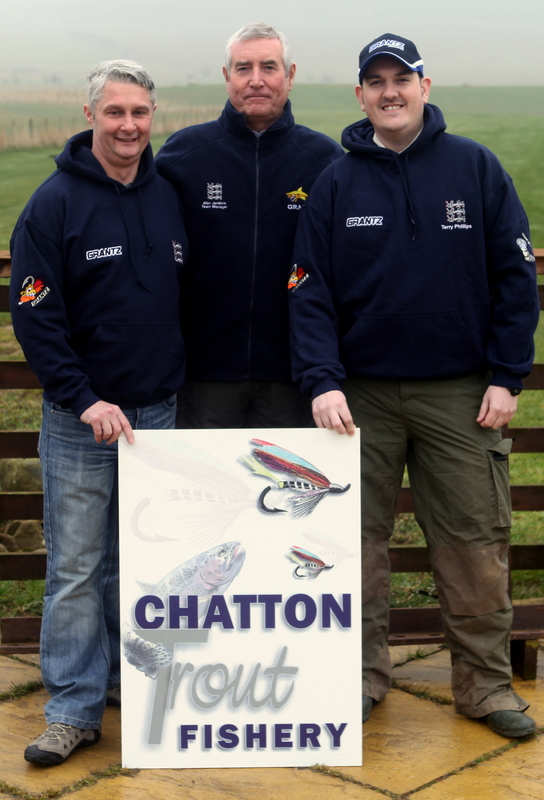 Teams had been practising since the weekend at the superb Chatton fishery. Using Dunnydeer and Ross Lakes the fishing was very consistent and challenging. 120 fish were caught in total on competition day, rod average 5 fish per rod. Weather had been blustery during practice and the fishing challenging, until competition day and the wind dropped, temperatures rose and the teams targeted rising fish. After the morning session Ireland had a narrow lead over England with Scotland and Wales a little distance behind. A consistent team effort saw Ireland maintain their lead to secure the ‘Founding Nations Cup’. 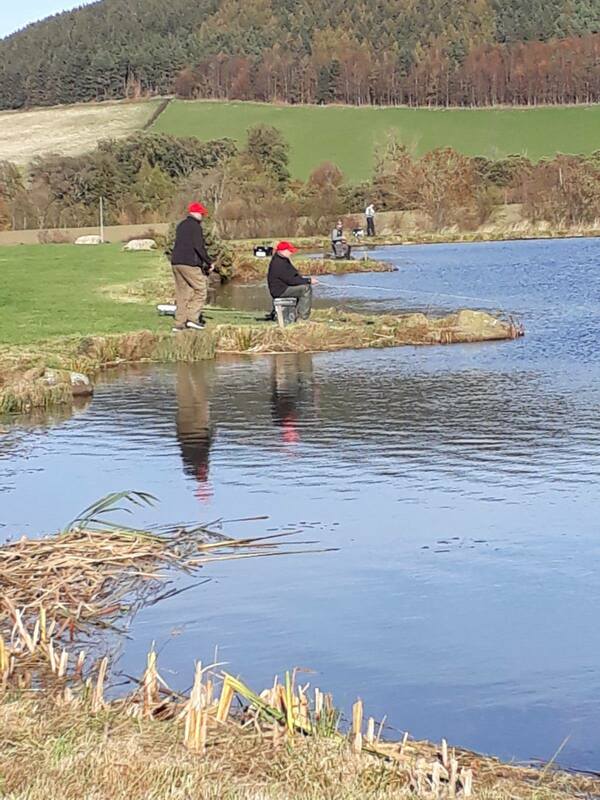 Chatton fishery proved to be excellent hosts with superb facilities complimenting the close competition, and my sincere thanks to Roger and his wife Ali. Terry Phillips (Captain); Rob Frame; Ryan Matthews, Bernie Maher; Mark Harrison, Chris Micallef; Steve Cochrane; and Alan Jenkins (Manager). 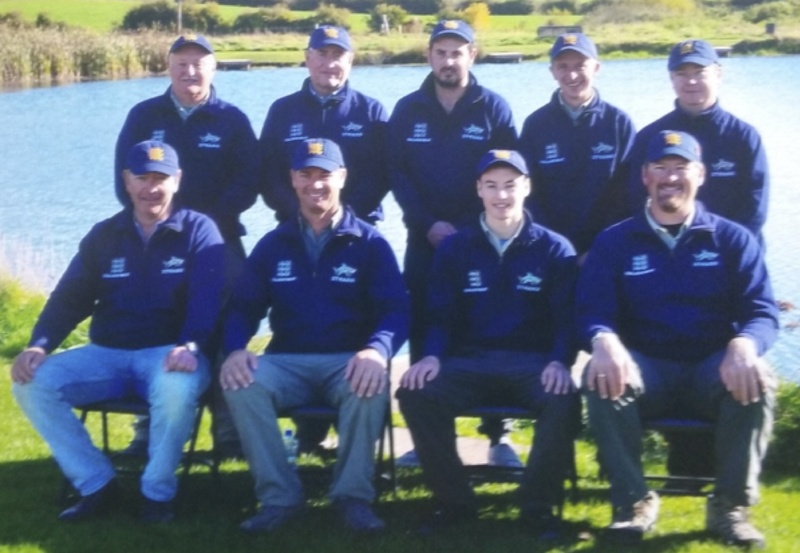 They will represent AT Team England FF at the Bank International in October at Chatton Trout Fishery, Alnwick, Northumberland. 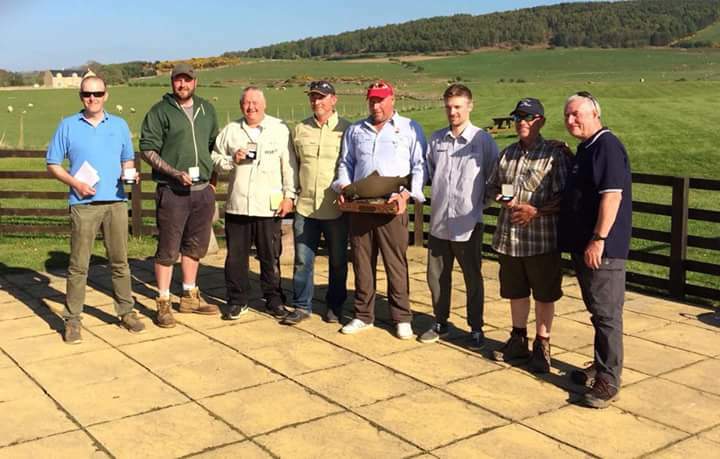 In preparation for the International a squad day was held at Chatton on Saturday 29th March. Roger Brown, owner and host of Chatton Fishery, and his wife Ali, hosted the day and kept us supplied with bacon & egg sandwiches, team & coffee. 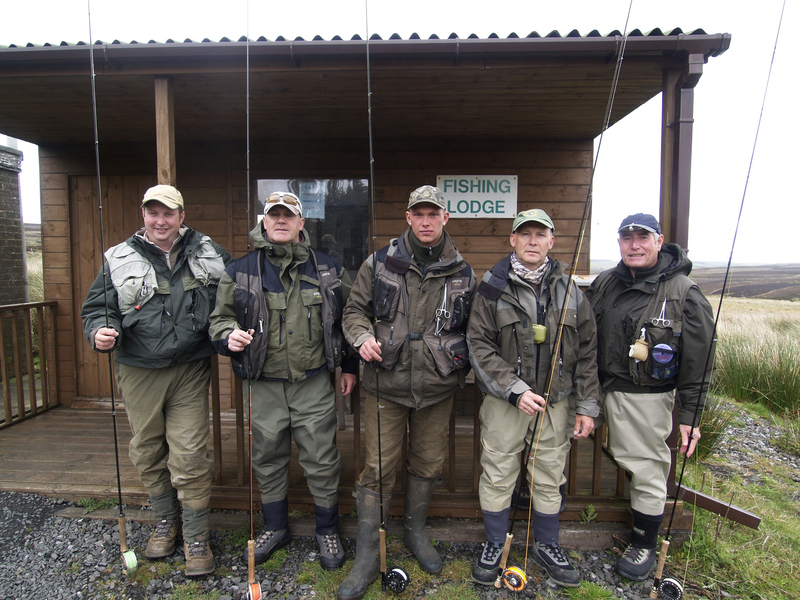 The Team fished Ross lake and Dunnydeer lake, with all the team catching. 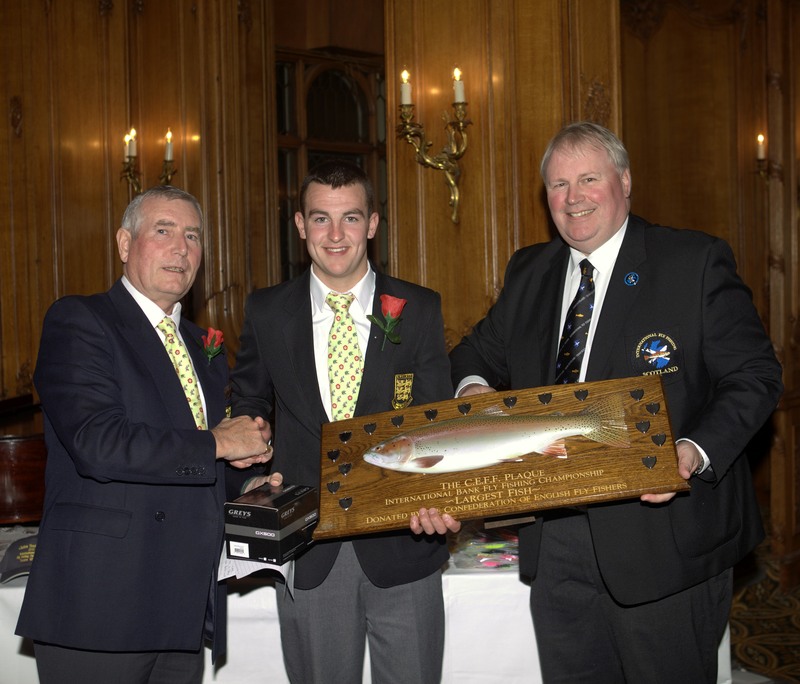 The biggest fish was caught by Graham Robinson, who accompanied the team and supplied the photographs. Team England FF were represented by: Phil Dixon (Captain); Glen Appleby; Howard Croston; Rob Frame; Tim Gilchrist (Reserve); Gordon Swain; Andy Taylor; and Alan Jenkins (Manager). Team outfits were supplied by clothing sponsor John Grant of Grantz Clothing. Congratulations once again to Scotland for another Home International victory. Phil Dixon (Captain); Glen Appleby; Howard Croston; Rob Frame; Tim Gilchrist (Reserve); Gordon Swain; Andy Taylor; and Alan Jenkins (Manager). 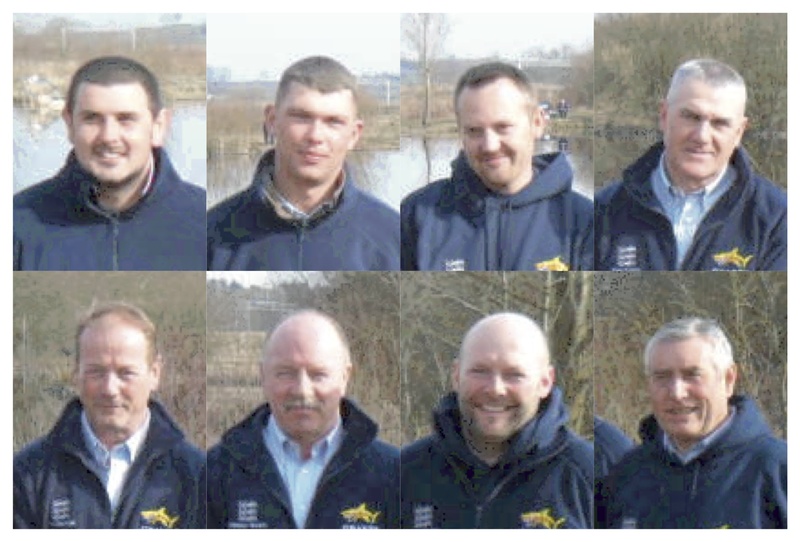 They will represent Team England FF at the Bank International in October at Lochter fishery, Inveruie, Aberdeenshire. 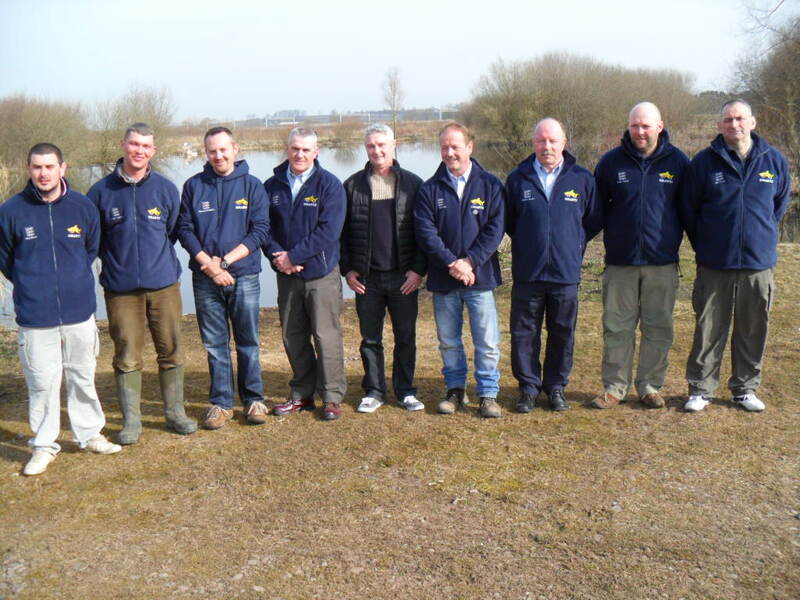 Here they are (below) at a recent team squad day at Seighford Lakes, along with Jim Tuck, Bank Organiser, and Clothing Sponsor John Grant from Grantz Clothing, who supplied the team outfits. 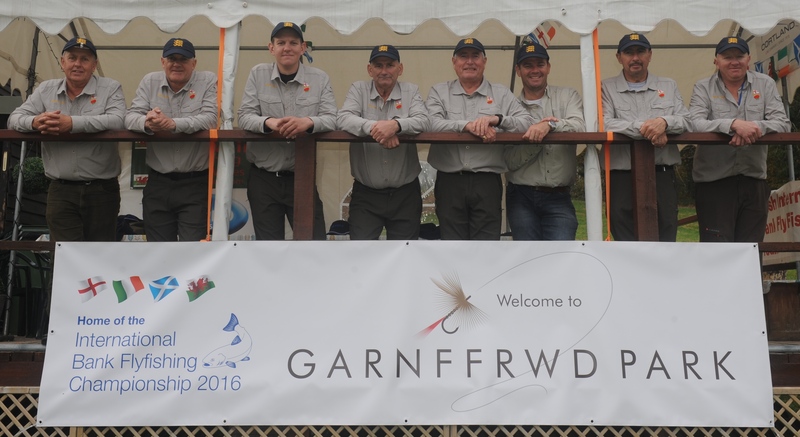 England convincingly won the Bank International at Garnffrwd fishery in South Wales by a record margin with a tremendously consistent team performance over two sessions. The team consisted of Simon Robinson as captain with team members Terry Phillips, Dean Appleby, Phil Dixon, Jim Tuck and Mark Harrison, with Andy Taylor as reserve and Alan Jenkins as team manager. Alan Jenkins (Manager); Simon Robinson (Captain) from Whickham, Tyne & Wear; Dean Appleby, Peterlee, Co Durham; Terry Phillips, Bursclough, Lancashire; Jim Tuck, Ashington, Northumberland; Phil Dixon, Seighford, Staffordshire; Mark Harrison, Walsall, West Midlands; and Andy Taylor (Reserve), Stafford, Staffordshire. A day was organised for a get-together to familiarise the team taking part in the Bank International at Barfinnihy Lake, Kenmare, Ireland in October. Ed Foster, a late replacement to the team, was unable to join us, as was Dave Parker who was representing England in the Czech Republic. The day started with strong winds but, not to be deterred, after some strong coffee a briefing was given on the best possible areas and methods to fish. 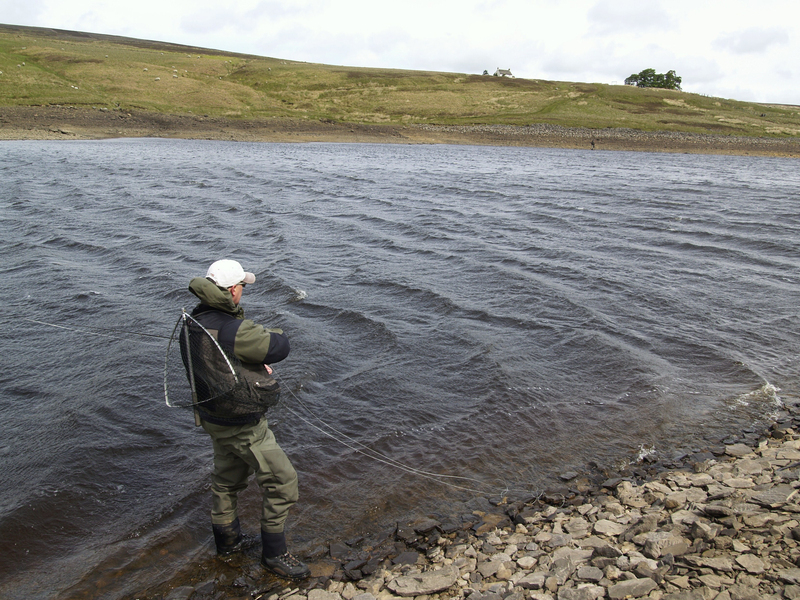 Soon we all set out to try for the hard-fighting brown trout stocked in the reservoirs. 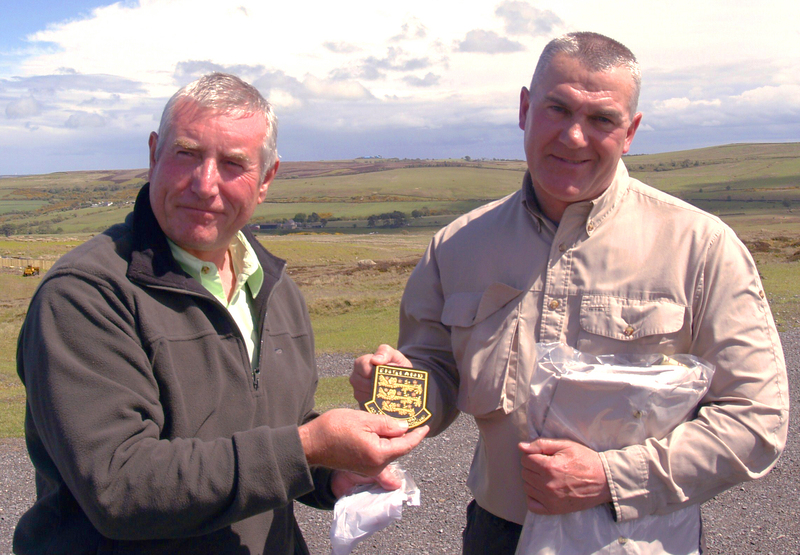 First to find a good fish of a pound and a half was Mike Dixon, who had travelled up from Crewe that morning. Unfortunately, for the rest of the squad the morning proved fruitless, with the exception of a few pulls and a lost fish to Glen Appleby. At lunch time we all headed off to the Moorcock Inn, where we were greeted by the welcome sight of juicy bacon rolls and thick homemade chips. After the excellent lunch a brief team talk as given by Team Manager Alan Jenkins, followed by a presentation of Team England shirts and badges to the new Internationals Bart Farmer and Rob Frame. Smiddyshaw Reservoir was our afternoon venue, when we were again greeted with strong sunshine and even stronger winds. However, we persevered for a few hours longer before deciding to call it a day. 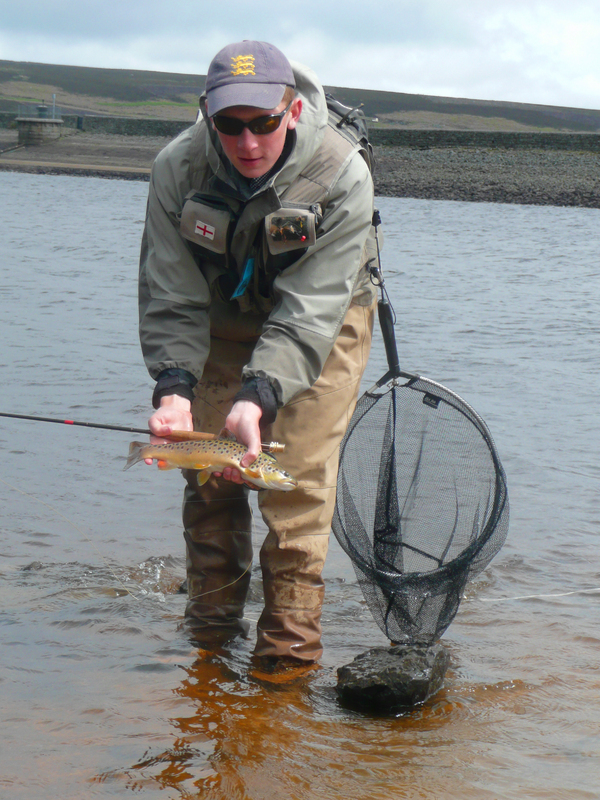 England Youth World Team member Carl Malpass, who joined us after lunch, decided to stick with the conditions and managed a nice fish for his efforts. Preparations are now well in hand for the second Bank International, which will be held on the 19th October 2011 in Ireland. 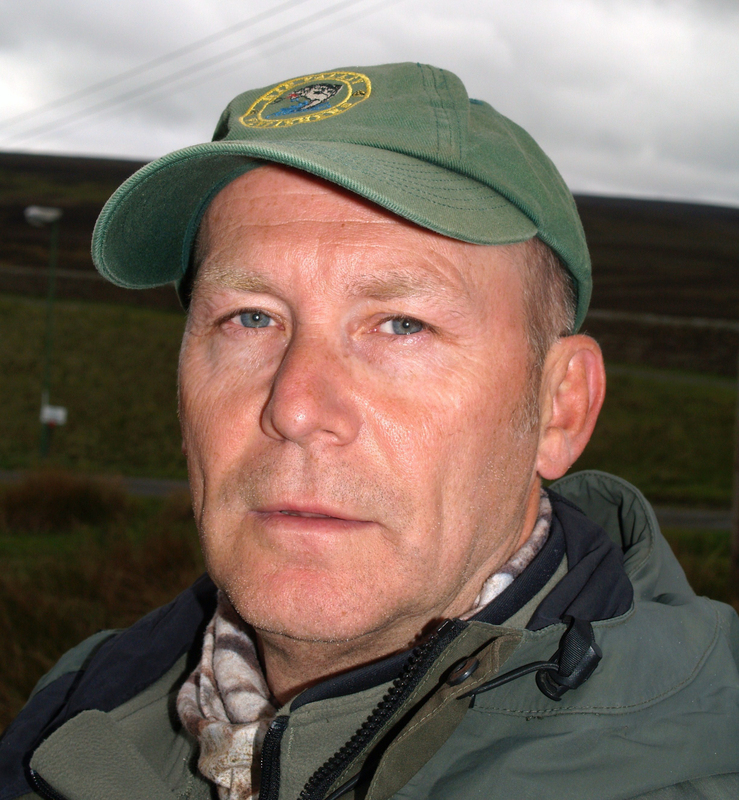 The organisers are the Trout Anglers Federation Ireland (TAFI), who will be our hosts for this event. 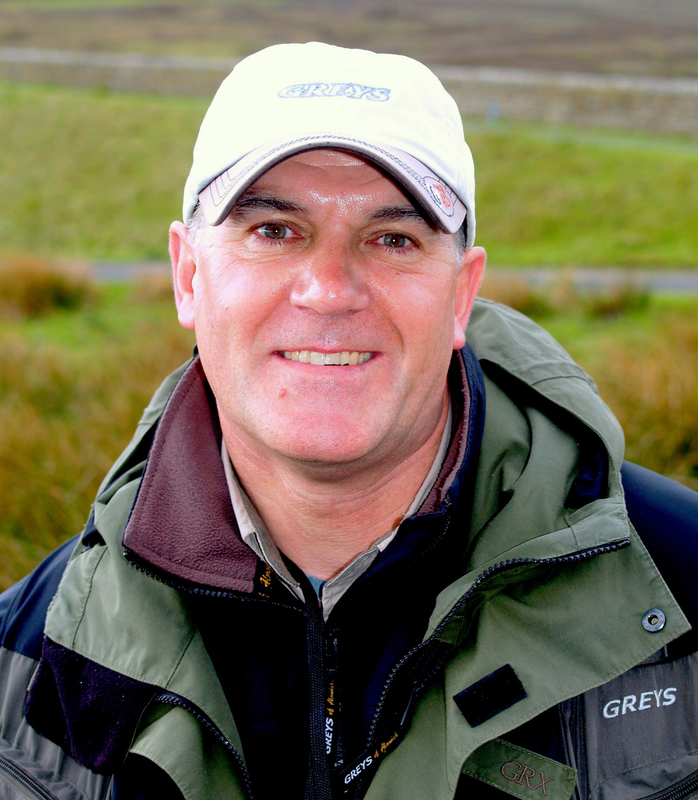 Ed is well known for owning and operating Elinor Trout Fishery, voted in Trout Fisherman as the best medium-sized water in the UK, and a regular venue for the Airflo Classic Final. 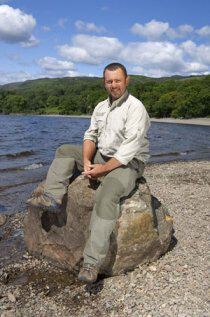 He has represented his country four times in Loch-style Internationals (at Lough Owel, Trawsfyndd – twice – and Loch Leven), and will be captaining the side in the Autumn International at Grafham. In Bart’s own words, he “Never stops fishing”. Despite only starting in 2004, he’s put the hours in, getting out at least twice a week, on the small waters through the winter and the reservoirs the rest of the time. 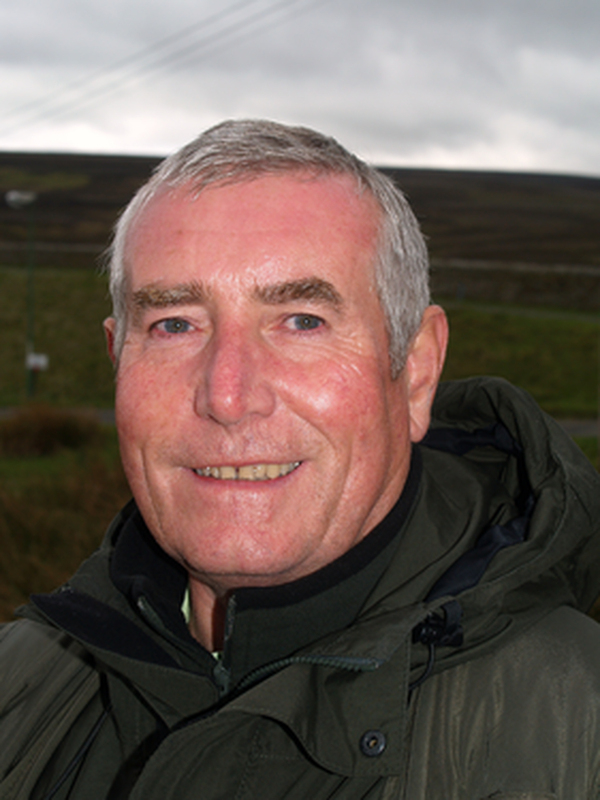 A member of the Rib Valley and Hanningfield clubs, he is usually well placed in most of their competitions. As for international experience, “From 1988 to 1998 I competed at the highest level in the sport of pro paintball”.